Virupaksha Temple at Hampi, Karnataka is a glorious 7th century temple of Lord Shiva (Virupaksha) by the banks of the river Tungabhadra (River Pampa / Goddess Parvati). The temple is a part of the Hampi group of monuments that are a UNESCO World Heritage Site. p style=”text-align: justify;”>The temple was built by the Chalukya dynasty, expanded by numerous Kings including the last famous King to rule over Hampi – Krishna Deva Raya of the Vijayanagar empire. 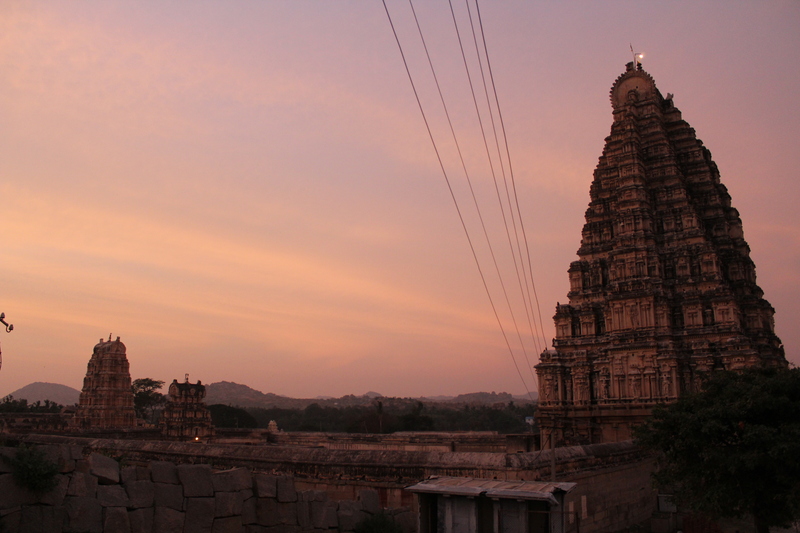 Hampi was India’s biggest city and one of the biggest cities of the world till its destruction in the 16th century. 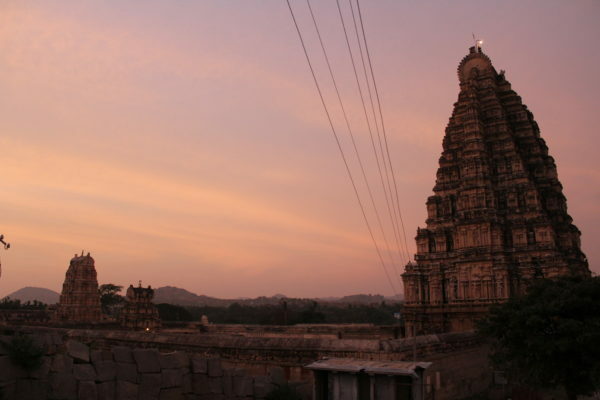 Hampi was known as Kishkinda during the Ramayan era, and it was the place of birth of Hanuman. The river Tungabhadra was known as Pampa.